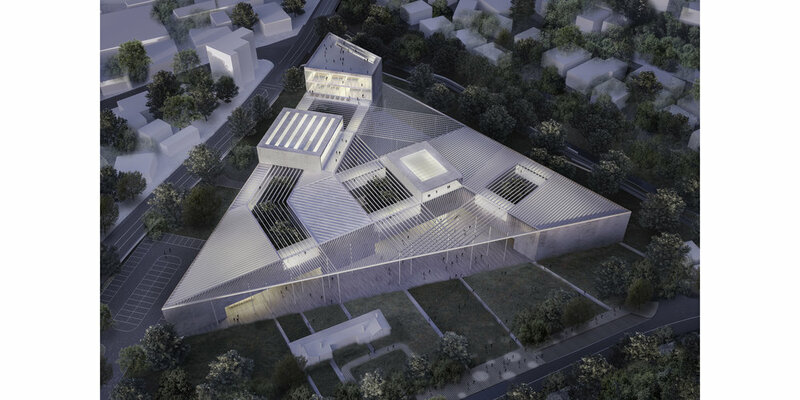 The New Cyprus Museum building creates an open public ground, allowing access from all sides, and inviting visitors into and through the site. The architecture crafts interior and exterior spaces simultaneously, treating the gardens and grounds as extensions of the museum. The unique site context drives the form of the building. 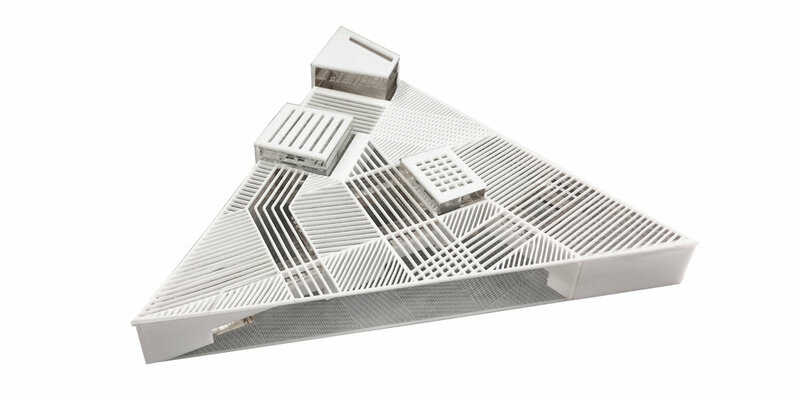 The triangular site is echoed in the building footprint, and the three elevations of the project respond to the three different contexts – the River Pedieos and its riverfront park to the west, the Nicosia Municipal Gardens to the northeast, and the vehicular thoroughfare to the southeast. Two significant public plazas are carved out adjacent to the two parks, shaping a simple bent bar building that is articulated to be more open towards the quieter parks and more closed towards the noise and speeds of the car traffic. A single roof canopy stitches indoor and outdoor spaces together, curating a diverse mix of light levels and spatial conditions throughout the day.Striated metal louvers are sized and oriented to cast shadows that break down the scale of the public plazas, subtly differentiating space. This louver system continues across the roof of the exhibition spaces, shielding direct sunlight and reflecting indirect daylight into the galleries. Throughout the day, the patchwork of cast shadows will delicately migrate across plazas, courtyards and walls, creating a perpetual connection between the building and its environment, inside and outside. 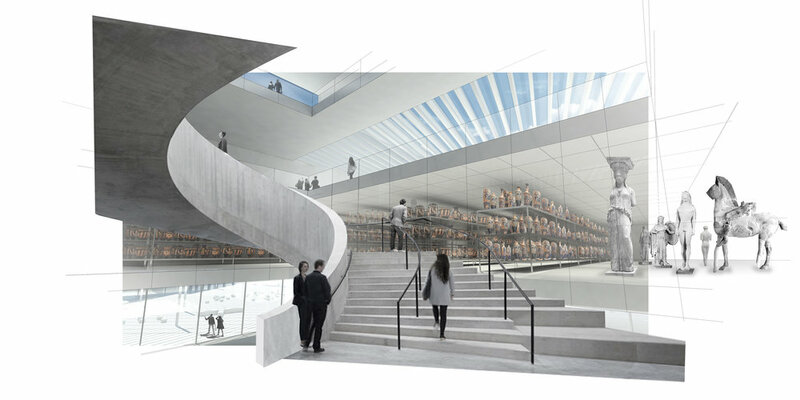 The building is organized sectionally into continuous program strata – a public ground at grade, storage in the middle, and exhibition at the top with access to natural light. Cutting through these layers are three vertically organized disruptions – 1) The public circulation core and grand stair, 2) The laboratory research spaces, and 3) The offices, conference center, and library. These three mini-towers puncture through the layers of public program, storage, and exhibition, offering unique opportunities for visual and physical exchange between each.